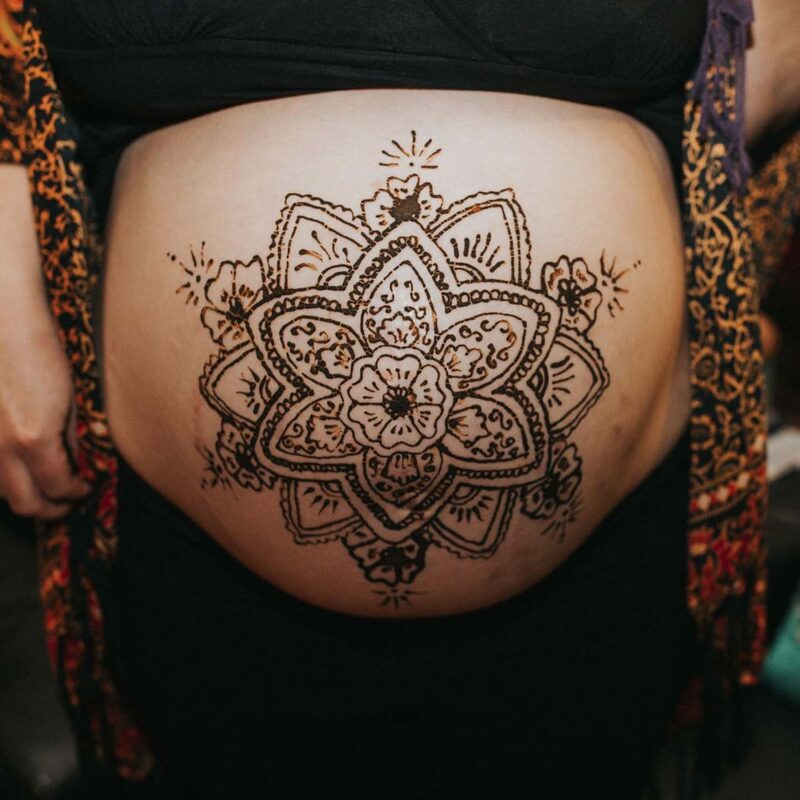 Booking a Henna session is a beautiful way to honour and celebrate the incredible journey both you and your baby have traveled. It can signify the time when a women turns her attention inwards and towards the next phase while she patiently awaits her babies birthday. Henna is said to carry ‘Baraka’ or blessedness and brings good luck to it’s wearer. In Moroccan tradition, designs were created on the palms and feet of the expectant Mother to ensure safe passage for both the Mother and Baby. 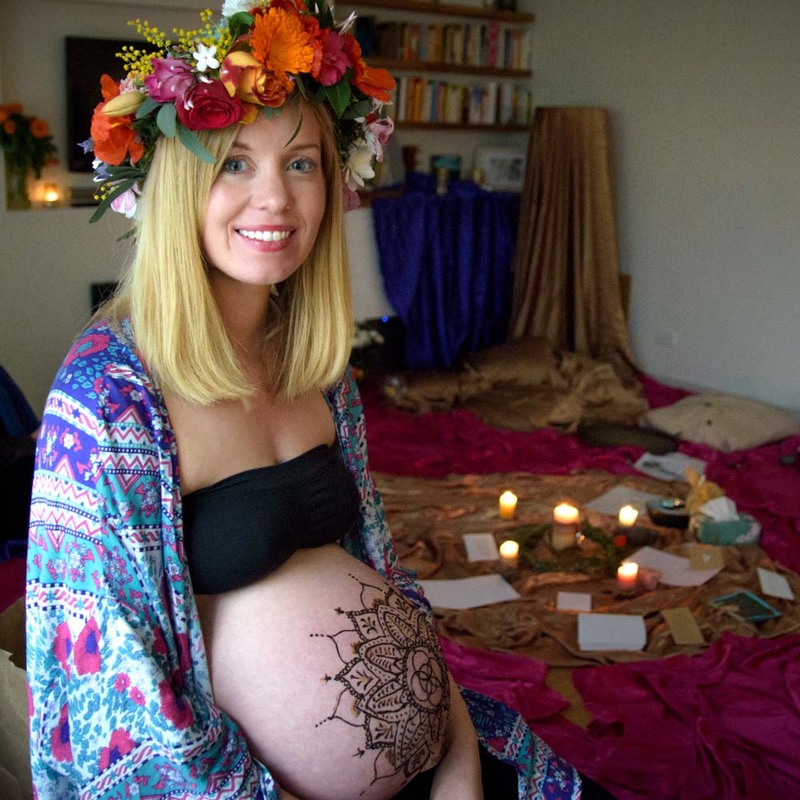 Pregnancy Henna is traditionally incorporated into Blessingways (Mother Blessings), an alternative to the modern baby shower. 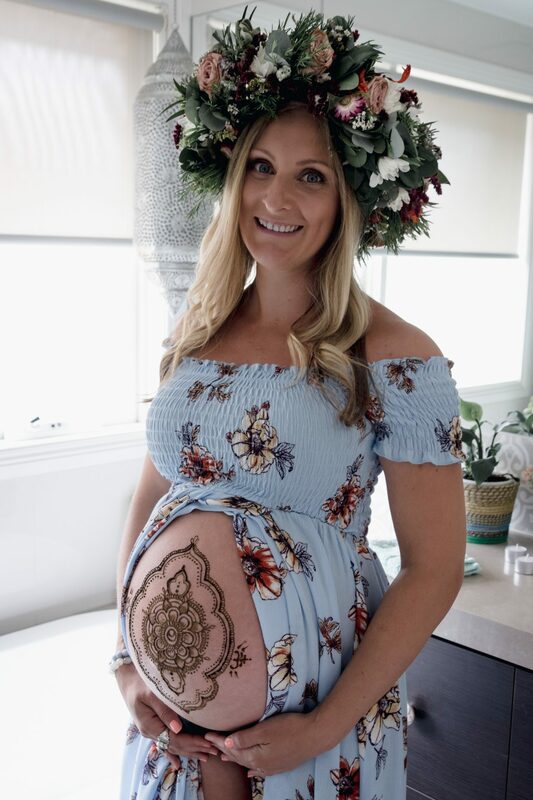 They are a celebration of life and a wonderful alternative to the traditional ‘Baby Shower’ where the focus remains on the Woman who is going through the transition into Motherhood. I have designs you can choose from or I can use something you design yourself. Including special and meaningful symbols/animals/totems can also be a beautiful way to personalise your design. The process usually takes 1-2 hours in the comfort of your own home or location of your choice and I use Australia’s only NASSA Certified Organic Henna mixed with organic Lavender Oil. 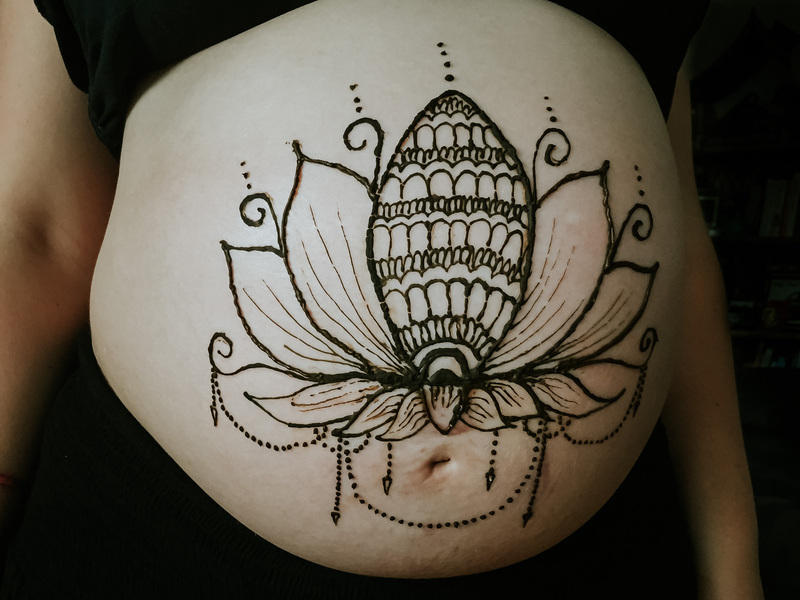 Included in this package is a large henna design and a 30 min photo shoot where I will capture and provide you with a digital copy of colour and b&w images via digital file and a $25 print voucher. 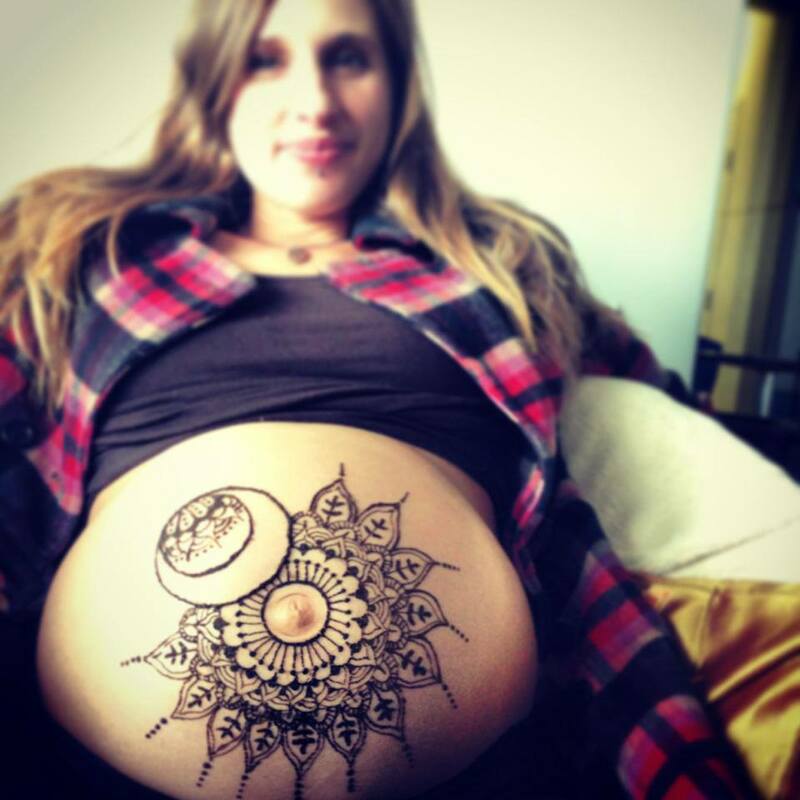 Included in this package is a large henna design and photography of your blessingway/baby shower. Let me adorn your beautiful belly and then capture and document your event. I will provide you with both low and high resolution images via digital file.